Provide safe, dependable and affordable water and wastewater services to our customers in an environmentally conscious manner while committed to our community's needs. 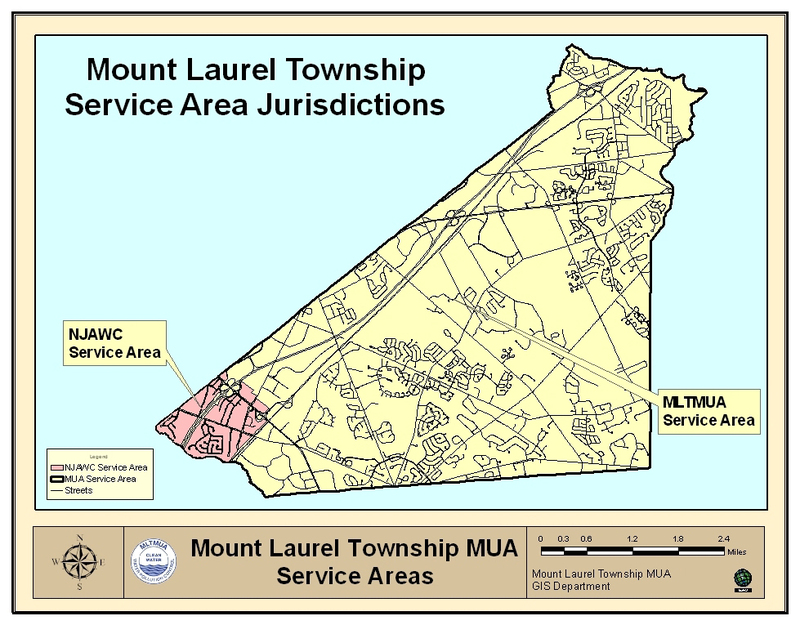 The Mount Laurel MUA was created by Mount Laurel Township in 1965 for the purpose of providing water and wastewater services to the Township of Mount Laurel. The MUA is a public entity however it is funded entirely by revenues related to water and wastewater operations, not via municipal or state taxes. Appointed by Township Council, the five (5) member Board of Directors oversees MUA budgets, expenditures and improvements as well as making other policy decisions. Daily operations are managed by the Executive Director. Our service area includes almost entirely all of Mount Laurel for wastewater and the majority of Mount Laurel for water (excluding the southwest section which is serviced by NJAWC). Some areas of Mount Laurel continue to have septic systems and private wells, which do not fall under the authority of the MUA. Click here to view our water service area map. Click here to view our wastewater area map. We offer highly qualified dedicated employees to our customers. Our facility managers and administrators each have at least 25 years’ of experience in their respective fields. Our Water and Sewer Department operators are required to hold State licenses issued under the NJDEP. These licenses require that all operators obtain annual Continuing Education Credits. This process also ensures that all Department operators are up to date on the newest regulations and techniques concerning their areas of operation. Our main office also has a strong dedicated team with many years of experience. Our customer service team is always available and ready to help with any questions you may have. If you feel your usage is higher than it should be, our professionals will gladly walk you through how to determine if you may have a leak. The Mt. Laurel MUA is one of the few entities that offer exact appointments, not a window of time; it is our goal to be there when it is convenient for you.